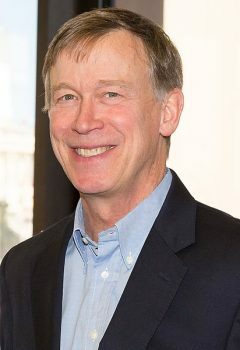 He has a contradictory record on the environment, supporting lawsuits against the EPA and Scott Pruitt in 2017, while speaking positively of some fracking technology in 2016. The politicians and the country are very divided over the leftist plan to restructure America’s infrastructure and economy. In fact, Rep. Sean Duffy, R-Wis., mocked Alexandria Ocasio-Cortez’s plan during a Financial Services Committee hearing on Monday, introducing an amendment to a homelessness bill that would create “green” standards — and demonstrate what he viewed as the impracticability of the Democrat’s plan. “The Green New Deal is one that if you are a rich liberal from maybe New York or California it sounds great because you can afford to retrofit your home or build a new home that has zero emissions, that is energy efficient, affordable and safe,” Duffy said. Duffy cited a study from the Department of Housing and Urban Development showing that it would cost over $172 billion to retrofit existing houses in the U.S. to meet the standards set by the Green New Deal. “It’s outrageous. It’s absolutely outrageous,” Duffy added. “You want to tell people that their concern and their desire for clean air and clean water is elitist, tell that to the kids in the South Bronx which is suffering from the highest rates of childhood asthma in the country,” Ocasio-Cortez counterd. While New York is not faring well, it’s not among the worst states for Asthma (read the CDC data here) as she’s likely leaning on a 2018 story run in the Bronx (during her campaign), check that out here. The Flint lead poisoning issue is being dramatized by the New York rep as the new studies point to a recovery and she fails to mention that a report by the Michigan Department of Health and Human Services says the Genesee County Health Department failed to help 85% of children diagnosed with high blood lead levels in 2016. Government failure in this disaster (leading up to it and in the wake of it) are NOT reasons to give the government more control.